The company’s latest large-scale coffee experience is also the first with its own cocktail program. 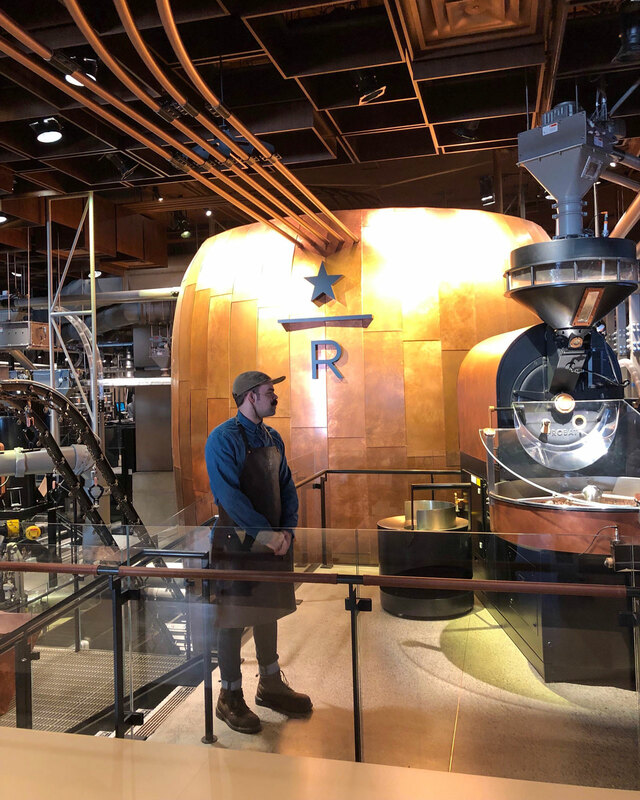 It makes sense that Starbucks would have a large presence in its hometown of Seattle, which is why the Washington city was the site of the company’s first Reserve Roastery, a 15,000-square-foot playground dedicated to enjoying and roasting coffee and espresso. 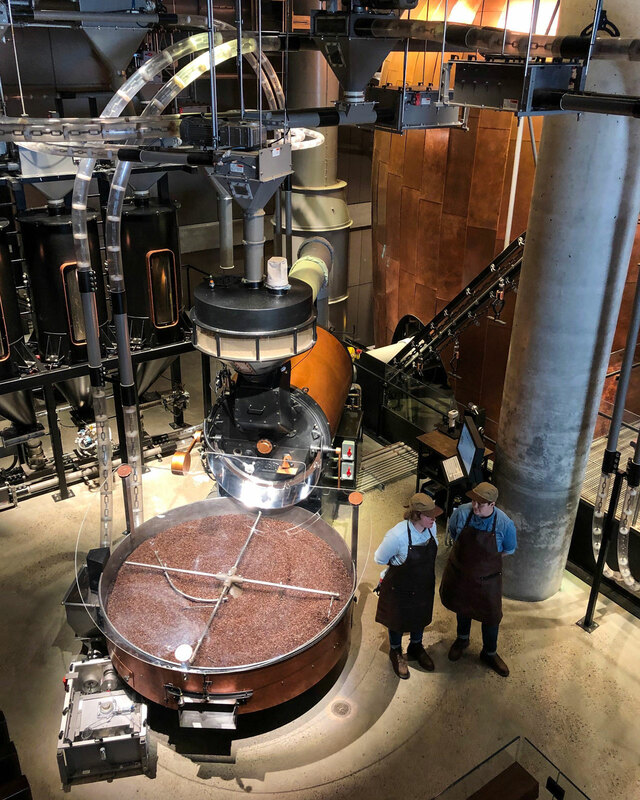 But as of Friday, December 14, both coasts can boast such a caffeine-tinged cathedral to coffee as New York’s 23,000-square-foot Reserve Roastery opens to the public in the city’s Meatpacking District. While larger than Seattle’s (smaller than Shanghai and Milan which both opened this past year and will soon be dwarfed by Chicago and Tokyo locations on the way in 2019), the New York Roastery experience is roughly the same as its Northwestern counterpart, with one major exception: a full, dedicated bar. Upstairs from the main coffee counter, the Arriviamo Bar has the look and feel of a hotel mezzanine watering hole. It’s warm and cozy enough but built for scale with a 60-foot long bar and seating for 80 patrons. The NYC Roastery is Starbucks third U.S. location currently selling booze (Seattle’s Roastery has a limited menu and a single Reserve Store location has mixed drinks as well), however, the cocktail program at Arriviamo is unique to the location, with a menu curated by mixologist Julia Momose. Offerings include both alcohol-infused coffee drinks as well as caffeine-free cocktails, aperitivo, beer, wine, and non-alcoholic options. At the opening, the “specialty cocktails” menu will be 15 items deep with four of those being “spirit-free,” with coffee-fied versions of a Manhattan, a Crusta, a Daiquiri, and an Old Fashioned, along with warm and cold concoctions featuring espresso and apple brandy, Chamomile tea and Scotch, green tea and rye, white tea and rum, and Darjeeling and gin. During the preview event I attended, the bar was featuring a take on a Negroni called the Nocino Notte. The drink combines Starbucks Reserve Cold Brew, Pine Barrens Barrel Reserve Botanical Gin, Gran Classico Bitter, and walnut liqueur Don Ciccio & Figli Noccino, and is topped with truffle salt, which gives a funky nose at first before melting into the rest of the drink to provide a robust, earthy undertone to the coffee and herbal notes. I asked one of the bartenders, Toby, which drink was his favorite. 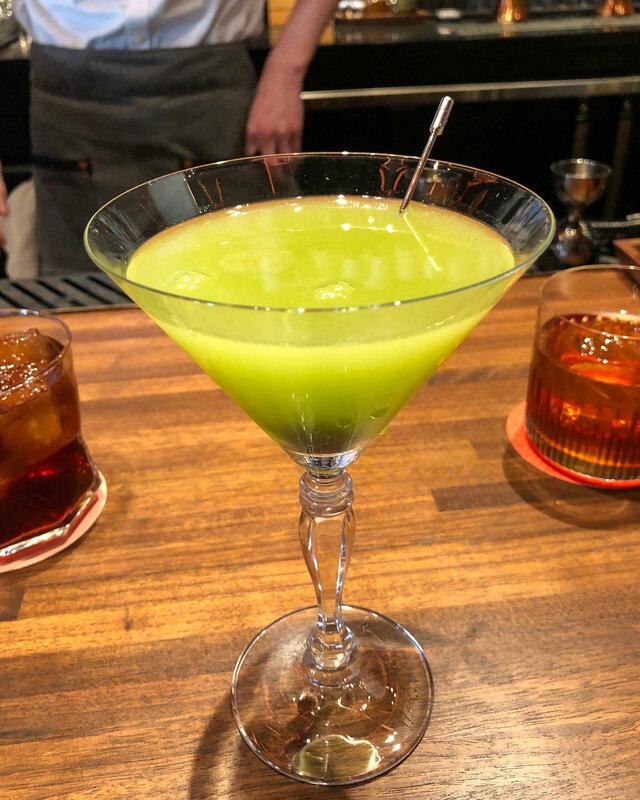 He whipped up the bar’s take on the Last Word, called a Final Say. Swapping the gin for tequila so as not to overpower the other botanical-forward ingredients, the bright green drink (thanks to a hit of matcha powder) is at once bitter, sweet, bright and smooth, and (other than that matcha and a coffee-infused cherry) in no way compares to anything stereotypically Starbucks (I'm looking at you, Unicorn Frappuccino). 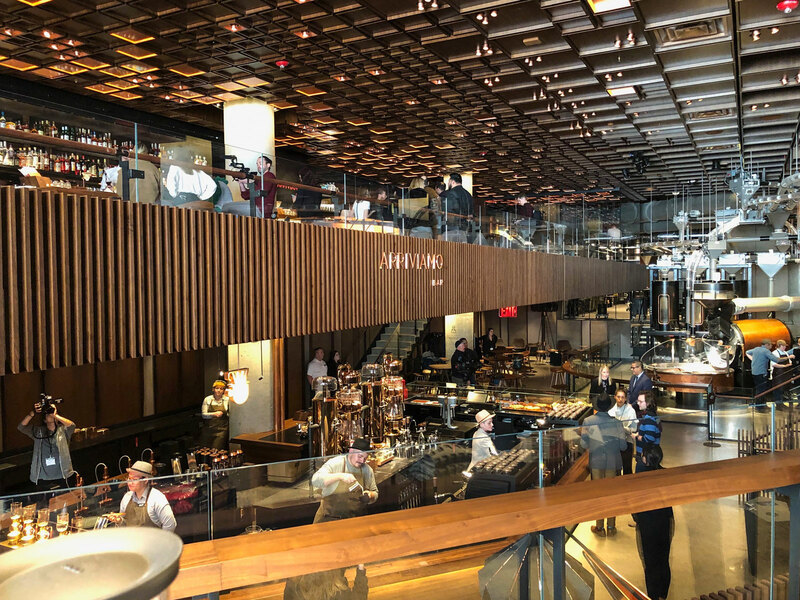 The goal, Starbucks hopes, is that the new location (next door to Chelsea Market and a Google office complex) will attract tourists and locals alike during different day-parts, and not just the morning coffee rush. 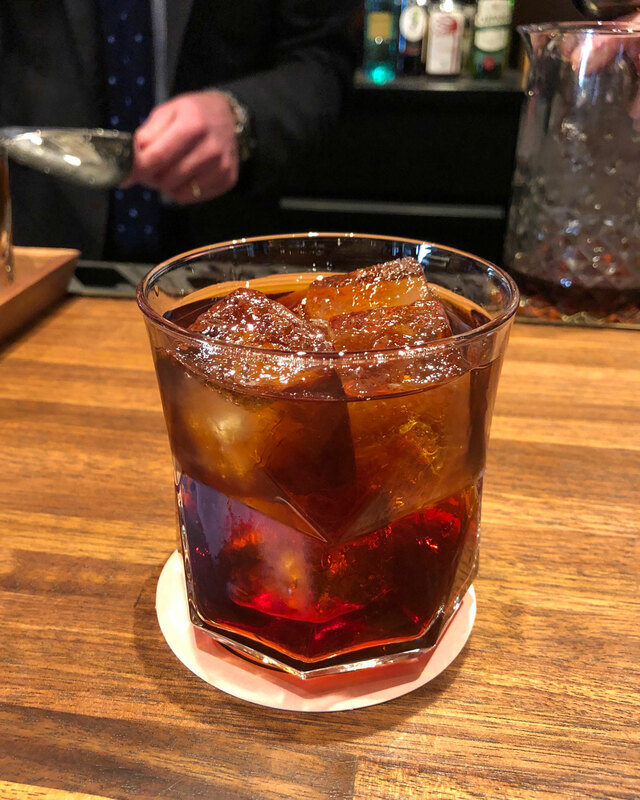 So long as the average cocktail hour attendee can get over the initial oddity of saying “meet me for drinks at Starbucks,” the broad range of boozy options at Arriviamo means there’s a good chance Starbucks Reserve Roastery will serve its intended purpose. Other features of the Roastery include an Experience Bar on the lower level where well-trained baristas are versed in six methods of brewing reflecting coffee’s third-wave movement (I sat for a demonstration and lovely conversation with Isha who walked me through the siphon brewing process). The extra care and personal touch will set you back about $10-$15 per cup, and coffee flights are also available to introduce customers to the various blends’ and roasts’ intricacies. A nearby terrarium features plants from coffee-growing regions like Costa Rica. 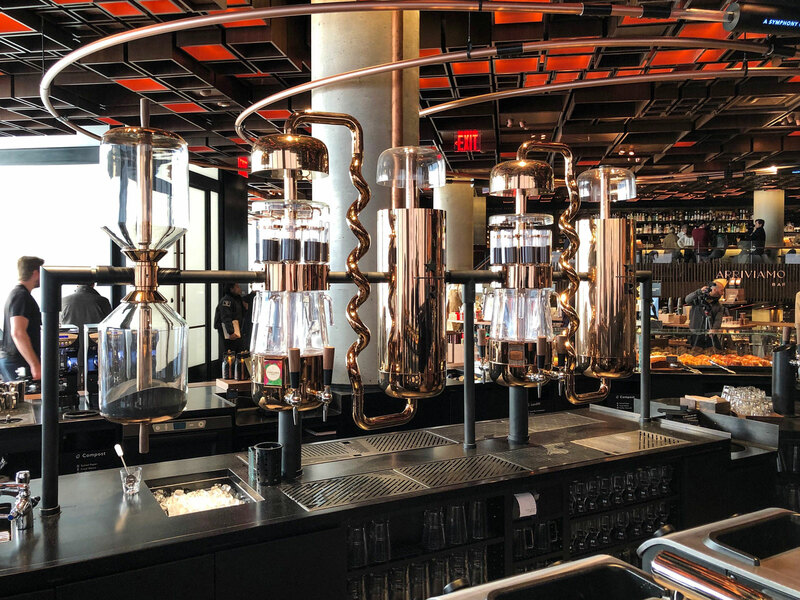 On the main level, bespoke NYC Roastery merchandise is on display, as are buy-by-the-scoop coffee beans, a fireplace, low-slung seating, and sculptural art to fill out the square footage without feeling too cluttered. Milanese pastries and savory items sit in glass cases, all freshly-baked and supplied by Princi Bakery which operates an outlet in the corner of the space. Also on the menu are the higher-end and Reserve-bar specific beverages, ice cream, Teavana teas, as well as much of the regular Starbucks menu. 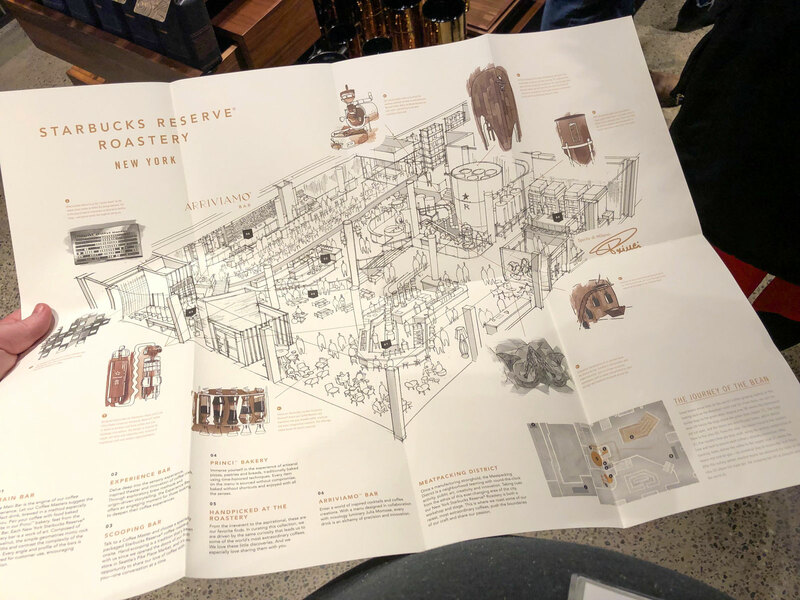 The Starbucks Reserve Roastery is located at 61 9th Avenue, New York, NY 10001. The Arriviamo bar is open from 8 a.m. to 12 a.m. Monday-Thursday, 8 a.m. to 1 a.m. Friday and Saturday, and 10 a.m. to 12 a.m. on Sunday.